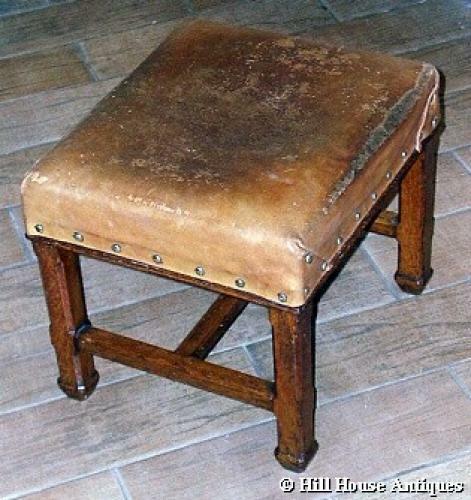 A very good and sturdy arts & crafts oak and leather hide seat stool by the famous firm of Marsh Jones & Cribb, Cabinet Makers of Leeds & Cavendish Square London, for whom amongst others, Charles Bevan designed. Good gothic shaped styled chamfered legs. Original condition. Approx 16”x 14” x 14” high.